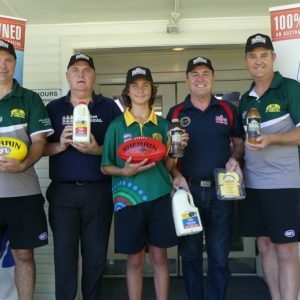 The eagerly anticipated round 1 of the AFL North Coast Senior Competition will be marked by huge events at both Grafton and Sawtell. 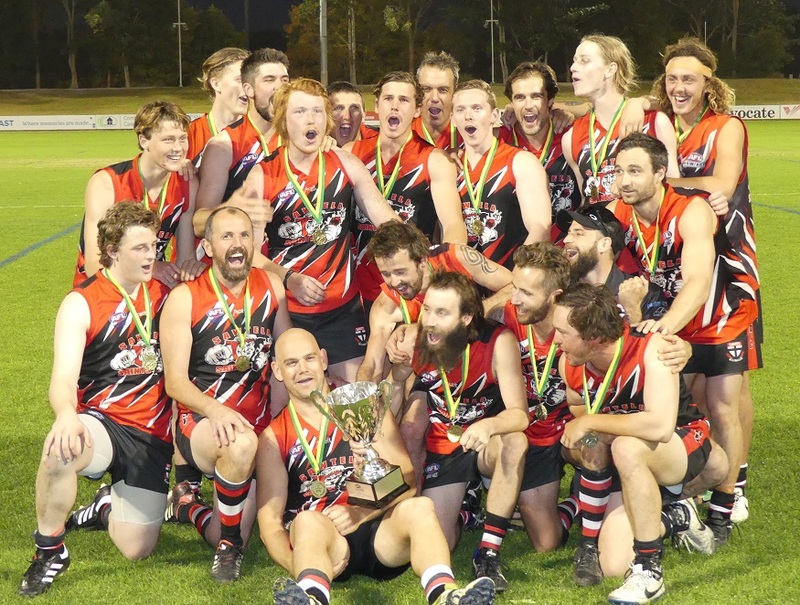 History will be made at Ellem Oval, Grafton on two fronts in a landmark day for two clubs. The first history making moment will see the joint venture Women’s team Northern Beaches/Grafton take to the field for the maiden competitive Women’s match at the venue. Northern Beaches/Grafton take on Coffs Harbour Breakers with a number of former Breakers players in their line-up which will add extra spice to what is already a highly anticipated match. Rani Grant, Ashleigh Miller (both former Breakers), and Britt Hargreaves (former Port) have become key figures for the joint venture team, whilst experienced players from Hervey Bay, Broadbeach, and Bathurst will provide valuable leadership and direction. Breakers have recruited well from other sports and will also get good value from a number of players graduating from the dual premiership winning Youth Girls team. Newly announced captain Katika Adams joined midway through last season and made a positive impact instantly. Her leadership, and that of Bella Crawley, Lisa Flick, and Danielle Watson, will be prized by the new players stepping up into Women’s footy. Following this match the Northern Beaches Blues (formerly Woolgoolga Blues) return to action for the first time in 13 years in a Reserve Grade fixture against Coffs Harbour Breakers. The former League powerhouse will compete in the lower grade this season but is targeting a potential return to the top flight in 2020. The main feature at Ellem Oval sees the Grafton Tigers take on Coffs Harbour Breakers in the Senior Grade. The Tigers have a number of new recruits from Bendigo, Sale, and Nowra that they hope will add starch to the spine of the team. Coach Chris Curthoys returns for his second year in charge and will be looking to the young local products who have stepped up from Under 17 in the last two years to provide the team with the biggest boost. For the Breakers, David Velt marks his return to coaching on the North Coast after a successful stint in Melbourne. He inherits a stable group that will be keen to make amends on last year’s Grand Final performance. Ben Gibbeson will play limited footy for the Breakers in 2019 as he focuses on playing in Sydney to further his claim for representative honours, however with the club’s Under 17/18 teams having featured in the past four Grand Finals the club has a production line of former Juniors eagerly looking for the chance to step up. Not to be outshone, the fixture at Richardson Park sees all four reigning Premiers in action with Sawtell Toormina Saints hosting Port Macquarie Magpies. 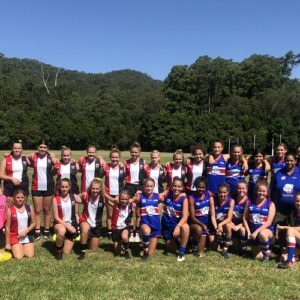 Sawtell claimed the big double last season, winning a record breaking 10th Senior flag as well as the inaugural Women’s premiership, and will be marking the first home game by unfurling the two flags. Meanwhile, Port took out the Under 17 and Reserve Grade titles in 2019 and will be looking to build from this to mount a sustained tilt in all four grades. The Saints will be without two key local figures of the game, with two time League Best and fairest winner Luke Matthews heading to Broome with the family, whilst current Brian Saville medalist Danniel Johnson has moved into coaching with Northern Beaches. Will Christopher is the main recruit into the club and coach Brandt Lee will be hoping that he can have a similar product to brother Lachie when he played for the Saints in 2017. Young players such as the Perks brothers, Josh Little, and Mitch Napier became key regular players in the Senior team last season and will be looking to step into leadership roles. Port Macquarie coach Tom Marmo has the luxury of a full pre-season in charge to make his mark on the team after being through into the key role part way through last season. There is no doubt the team took giant strides in the back half of 2018 and recruits from the Victorian Amateurs, Western Australia, Muswellbrook, Bathurst, and Penrith will only strengthen the team. The Women’s match is a Grand Final replay that will see the Saints sporting a much changed line-up with a number of last year’s representative players moving on. Liz Jennison and Lauren French are both travelling, Tiarne Saunders has moved to Inverell, and Alana Hanson and Bec Minichilli are both pregnant. The club has done a good job of recruiting new players to the sport and their early form will depend on how quickly these new players learn the game. Port has kept a settled line-up, only losing Britt Hargreaves to Grafton and Shaarn Whitehouse who is pregnant, and have added North Coast representative player Casey Miosge and a Premier Division player from Sydney. Early talk from Port is the team is much improved and have their eyes firmly focused on bettering last year’s result.